Here you can find individual states to see the percentage of voters that were effectively suppressed by their state's "all or nothing" approach to voting in the electoral college. 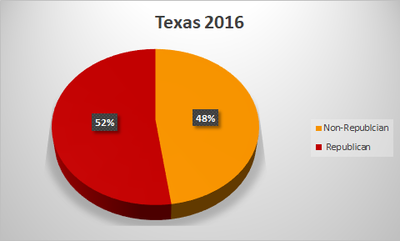 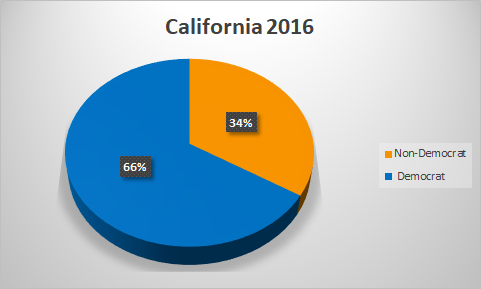 The orange segments illustrate the percentage of voters who received absolutely no representation. None of these names appear on the OFFICIAL 2016 PRESIDENTIAL GENERAL ELECTION RESULTS with even a single vote to their name. Meanwhile, Gary Johnson received 4,489,221 votes (3.28% of the popular vote) but did not receive even one electoral college vote. 1,457,216 voters declared Jill Stein (1.07%) and received no representation. A man named Bradford Lyttle was placed on the Official results with a total of 382 votes, all of which came from the state of Colorado. He received 110 in 2008, again all from Colorado.